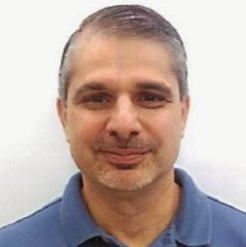 Theo Antoniou, President and Founding Partner of MDSupplies and Service a comprehensive e-commerce store providing an alternative to costly, traditional methods of purchasing medical supplies joins eHealth Radio and the Health News Channel. Could you give us a brief overview of MDSupplies. One of your missions is to help people reduce their cost of supplies by eliminating unnecessary costs. Describe some of these costs and how your website helps a person or business save money on medical supplies. Can you describe what a typical customer looks like? Most health care professionals familiar with hospital supply have a perception that the purchasing process is a bit more complex than just an e-commerce check out. Is this true? Your website offers over 30,000 products. How are you able to provide so many different supplies? What has been the overall reception of MDsupplies? With MDSupplies.com you are linked directly to major manufacturers and vendors for many types of supplies. It is our goal to bring you the best industry prices possible by eliminating traditional distributors, dealers, and salespeople. Our single ordering system / marketplace offers substantial savings on supplies over traditional channels and allows you to pick and choose who you want to order supplies from; all through one single order. Here is a brief 1 minute overview of our website and how it works https://youtu.be/PoSGI5pKRUI. The principals of MDSupplies also own and operate several other software applications that are integrated together; including physician dispensing, pharmaceutical billing and collection, urine drug testing, prescription drug monitoring program reporting, mail-order pharmacy, and drug pedigree management. All software applications are web based applications, so they only require a web browser and Internet connection. No special software installations are needed. For security, all access is through a HTTPS-enabled site, and users have the ability to limit various locations from which someone can log in to the system. The applications have multi-site architecture, so that managers and doctors can operate from more than one location. Please contact us anytime at sales@mdsupplies.com or visit our website at MDSupplies.com.